Mortgage Lender Serving Wisconsin, Illinois, Minnesota and Florida! Please use the quick contact form below to get in touch with us. We are a Mortgage Banker specializing in mortgage loans since we first opened our doors. With licensed offices in 48 states, we have the staff and the experience to meet any home loan need. We won twice in the NerdWallet’s Best-Of Awards for 2019 and won the Gold Stevie Award for “Company of the Year” for 2018. We also received the Better Business Bureau Torch award for ethics in 2018 and we dominate SocialSurvey’s customer satisfaction rankings. Mortgage Professional America’s named us the Top Mortgage Workplace for 2019 and we were #11 in Best Workplaces in Financial Services & Insurance 2019. Besides these accolades, we are proud that Fortune and Great Place to Work® named us Best Workplace for Millennials for two consecutive years and the Best Workplace for Women for second consecutive year. These Government programs are designed to enable people to buy a home with little or even nothing down! If you are a first time home buyer, if you are looking to make a low or no down payment or if you are a veteran, the government may be able to help you with a purchase or refinance! The Federal Housing Authority (FHA) is a government organization that oversees the rules and guidelines for their mortgages. FHA does not make loans but they approve lenders, like us, to make loans under the FHA approval. These loans are great for first time home buyers. The down payment is minimal and the credit requirements are more lenient compared to other types of loans. 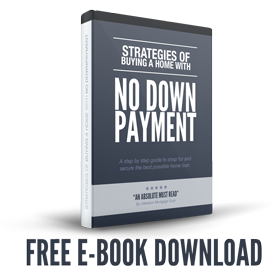 In addition, the down payment money can be a gift from a loved one, making it possible to buy a home with no out of pocket expense for the down payment. Illinois FHA Loan – state-specific page for Illinois residents looking to buy a home using the FHA program. The Veterans Administration (VA) works similar to FHA. They do not offer the mortgage loans but approve lenders to offer VA financing. People who have served in the military during wartime, peacetime and even just in the reserves can be eligible for the VA mortgage. The VA program has a no money down feature, allowing the veteran to easily buy a home. The credit requirements are quite lenient as long as the other eligibility requirements are met. Besides veterans that have served in the military it is also possible for the widows of veterans and the spouse and children of active duty personnel to also qualify for the VA mortgage. Please Note: The VA mortgage program is available to eligible Veterans only. Minnesota VA Loans – state-specific page for Minnesota residents looking to buy a home using the VA mortgage program. Illinois VA Loan – state-specific page for Illinois residents looking to buy a home using the VA mortgage program. Florida VA Loan – state-specific page for Florida citizens looking to buy a home using the VA mortgage program. The United States Department of Agriculture (USDA) is another government group that offers home loans. Unlike the FHA and VA offices, the USDA actually has a hand in providing the loans. The USDA will approve lenders to offer mortgages. However, all loan applications must be sent to the USDA for underwriting in order for the loan to be approved. The USDA Rural Housing Mortgage offers loans with no down payment requirement. In addition, the closing costs can be included with the loan as long as the total amount borrowed does not exceed the appraised value of the property. The USDA loan can be used for a purchase or a refinance. Refinances also allow loans up to the appraised value. Please Note: For all USDA mortgage loans, property and income restrictions apply. Illinois Rural Development Loan – state-specific page for Illinois citizens looking to buy a home using the USDA mortgage program. Minnesota Rural Development Loan – state-specific page for Minnesota residents looking to buy a home using the USDA program. Florida USDA Rural Development Loan – state-specific page for Florida residents looking to buy a home using the USDA mortgage program. We also offer conventional loans! Conventional loans are mortgages offered with the lowest interest rates. For people with strong credit history, stable employment and a small down payment this loan is a perfect fit. Fannie Mae HARP Refinance – allows people that have a mortgage balance higher than their property’s value to refinance to a better rate. If you currently own a home and find yourself in need of refinancing we have a program to fit your needs. All of the government programs mentioned above, along with conventional loans, offer some type of refinance option. If you simply want to lower your interest rate in order to save money on your mortgage payback you can choose from a wide range of loans. If you need to use the equity in your home to pay off other debt then a consolidation loan is a good choice. If you would like to make some minor improvements to your home that should cost less than $5,000 the VA and FHA both offers refinance programs for this purpose. IF you need to make major renovations to your home or possibly add on to the property then the FHA 203k would likely be your best bet. Refinance Options – there are a variety of reasons to refinance – Let us help you with your goals! Contact us or Apply Online today for a complete purchase or refinance assessment. The gift of equity is quite simple, mathematically. The owner of the home sets the price at fair market value and agrees to sell the home to their relative. In the transaction, at least 20% of the value of the home is given to the buyer as equity. The buyer arranges for a loan that is 80% of the home’s value, removing the requirement for PMI. Learn about the pros and cons of an FHA loan vs Conventional mortgage, not to show that one is better than the other, but to highlight the strengths of each mortgage. When using a mortgage lender, the purchase of a home will always require an appraisal. However, the Veterans Administration goes an extra step with their loans by providing a home appraiser to determine if the property meets VA minimum property requirements.